Essam and Maher in the CRP patio. 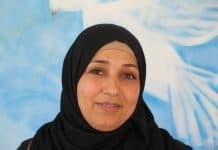 Donate here to support urban refugees in Jordan! Originally from Homs, Syria, they fled to Jordan when bombshells came closer and closer to their house. Back there, Essam was a primary school teacher. He saved up money so his son could go to college. Maher graduated from Homs University with a degree in accounting and worked in that field for a while before they left the country. Together with Maher’s mother Nesreen, the family had a quiet life in Homs. 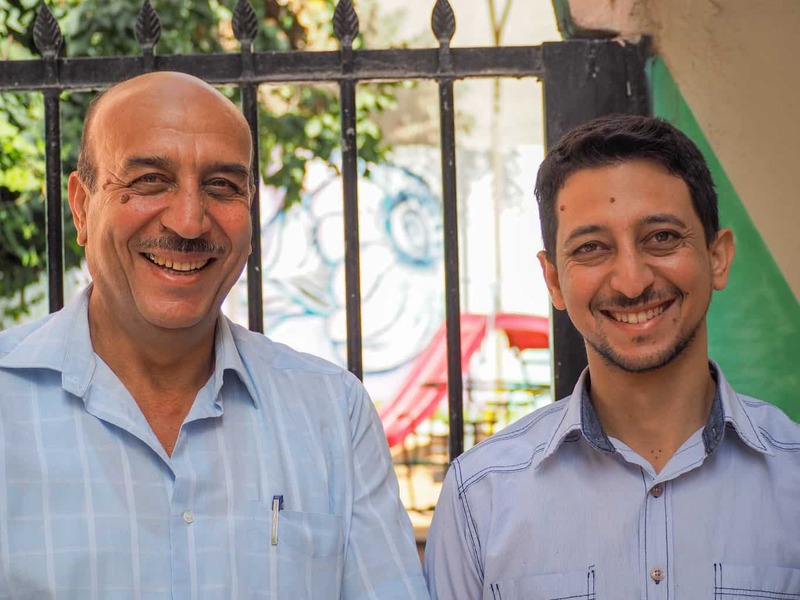 In Jordan, Essam and Maher aren’t allowed to work legally. They receive food vouchers to help them with groceries, otherwise they live off their savings. But it’s not their physical resources that the two men are worried about. It’s their dignity as members of society. Maher explains, “In Syria, I was an accountant. When we fled Syria and came here, I didn’t benefit from my studies. My degree meant nothing. I don’t have a vocation.” So they started to learn how to cut hair and beards. 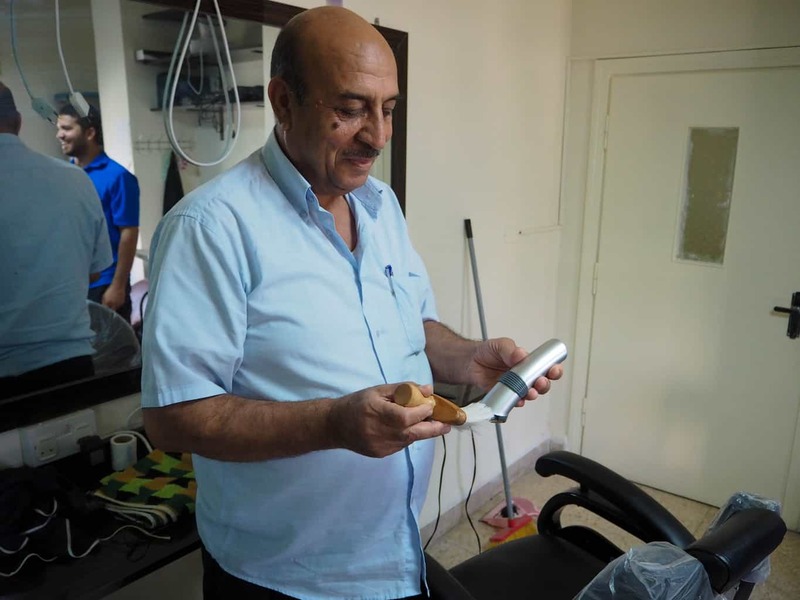 Donate here to help people like Maher regain a sense of purpose through productive activities. “We want to thank the organization for your work, because we feel that you care about us. It makes us happy to feel that someone really cares,” Maher says. His father adds, “Learning useful new skills gives me purpose. It’s a reason to leave the house, to leave the comfort zone and do something productive.” Without a job, many refugees struggle with boredom and a lack of purpose. An important part of CRP’s work is to restore some of this missing purpose in people through productive activities and learning new skills. 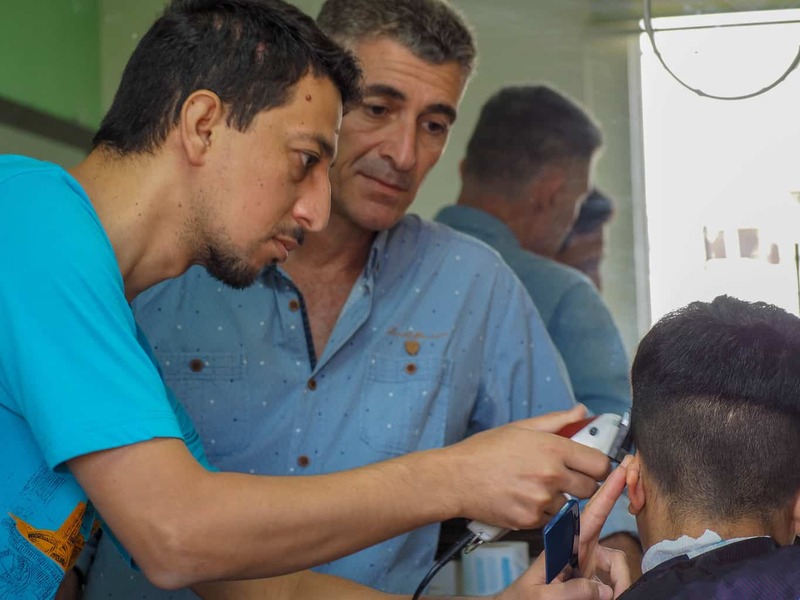 The barber profession is a respected part of Arab culture, and many men in our neighborhood of Hashemi Shamali have gladly participated in the Barbershop program over the years. 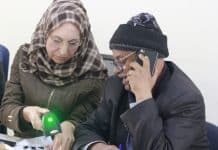 Without a way to legally work in Jordan, many refugees barter their skills informally with friends and neighbors to get by. Maher and Barbershop teacher Basem. We rely on individual donors to keep this program running. Please donate! “Cutting hair is an art,” Maher says. It’s satisfying to clean people up, to make them look and feel nice. “It’s also an important part of our culture. They say that many of the old historians, centuries ago, were barbers. They would listen to people’s stories and then write about them,” Essam adds. 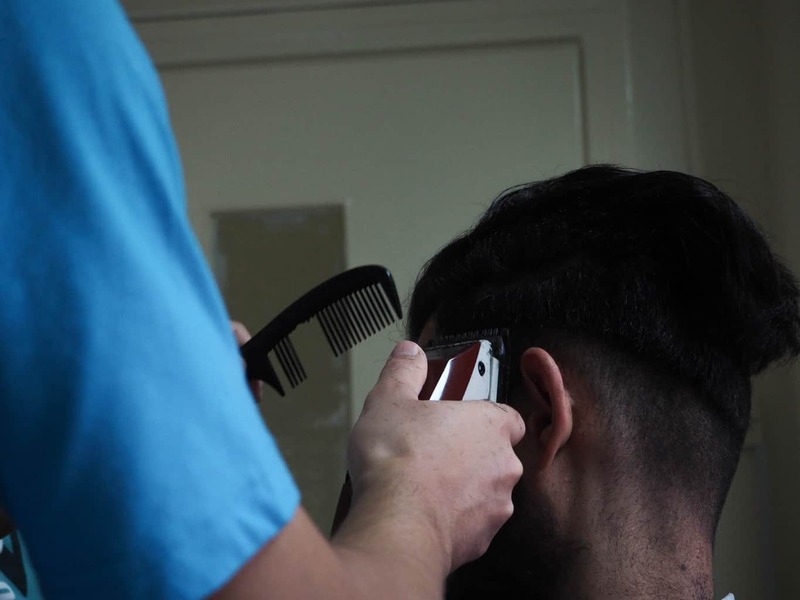 Though he probably won’t be working legally as a barber, Essam says, “I love coming here and meeting new people, chatting with them.” Maher might become a barber if he can continue to learn the trade. Donate here to help Essam and others learn more skills and develop a sense of pride. We would love to expand the Barbershop program and provide skills and a routine as well as friendships in the community to our beneficiaries. But we need your help to do it! Donate now.